a copy of it for his files to use as a benchmark. Many lenders are now asking you to prove you are compliant to the Red Flag Rule. 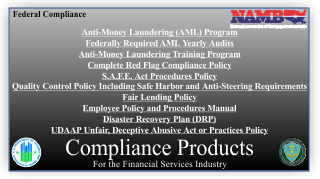 State regulators are looking for Red Flag compliance during audits and examinations. WE PROFESSIONALLY WRITE YOUR POLICY FOR YOU. Compliance to the Rule does not have to be difficult, time consuming or expensive. Majestic Security will provide your company with everything you need to meet the Rules requirements. Your customized professionally written Information Security Policy specific to the industry. A customized Internal Security Policy to help meet the Rules Training requirement. A customizable “Vendor Compliance” letter. An outline of the requirements and procedures to be followed in the event of a data breach. A check list to simplify the identification of “Red Flags” when opening a new customer file.